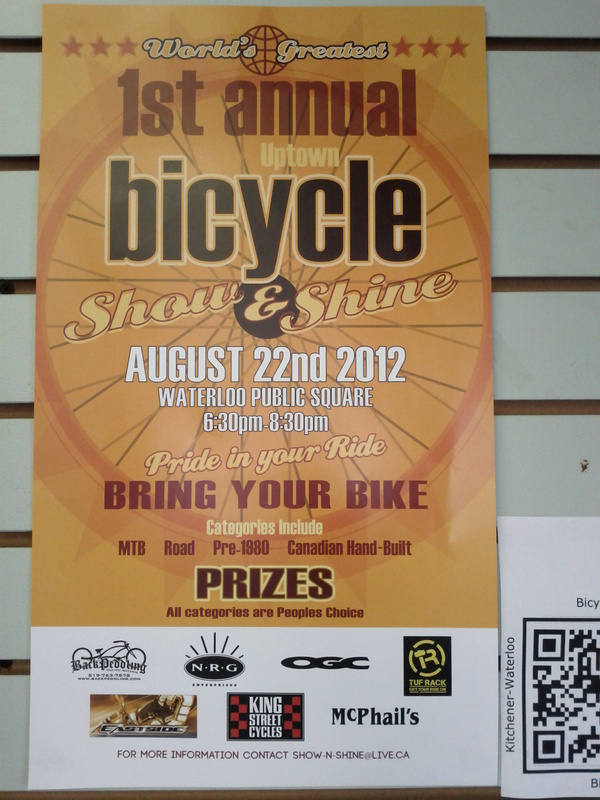 I was at King Street Cycles and took a snap shot of the poster for the Bicycle Show (off). Come bring your ride and talk with other riders. Link to the facebook group. It was also the extra push I needed to ‘Amsterdamize’ my Trek Soho (lots of help from backpeddlers). Pretty pumped to introduce him. I’m pretty pumped to see your pimped Soho. Hope I can make it. Previous Previous post: Any park and ride suggestions?